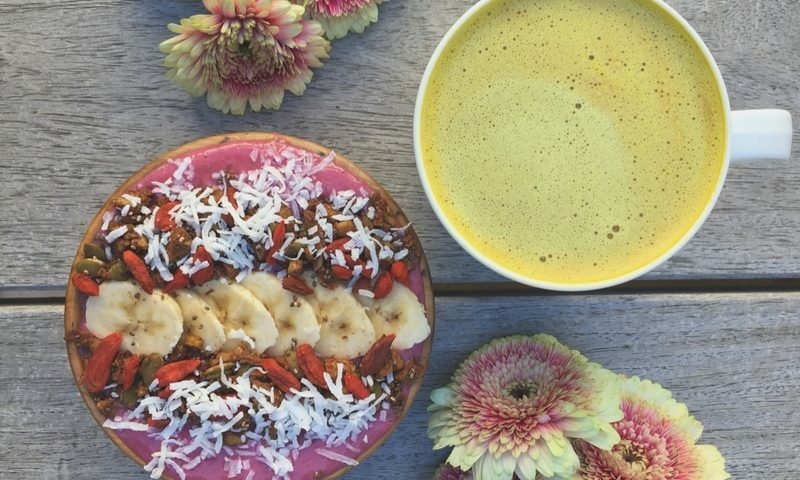 If you’ve been diagnosed with Hashimoto’s thyroiditis (and maybe are already on thyroid hormone replacement medication) but you’re still not feeling like yourself, and/or your thyroid antibodies aren’t coming down, you may be wondering if there’s anything else you can do to heal your body and balance your hormones. The good news is that there have been multiple studies showing that diet, supplements, and lifestyle changes can dramatically reduce thyroid antibodies. But first, let’s talk a little more about what Hashimoto’s is. Hashimoto’s thyroiditis is a chronic autoimmune disorder in which antibodies attack the thyroid gland. A thyroid gland under attack is not able to make enough thyroid hormone to meet the body’s needs, putting the body in a hypothyroid state. 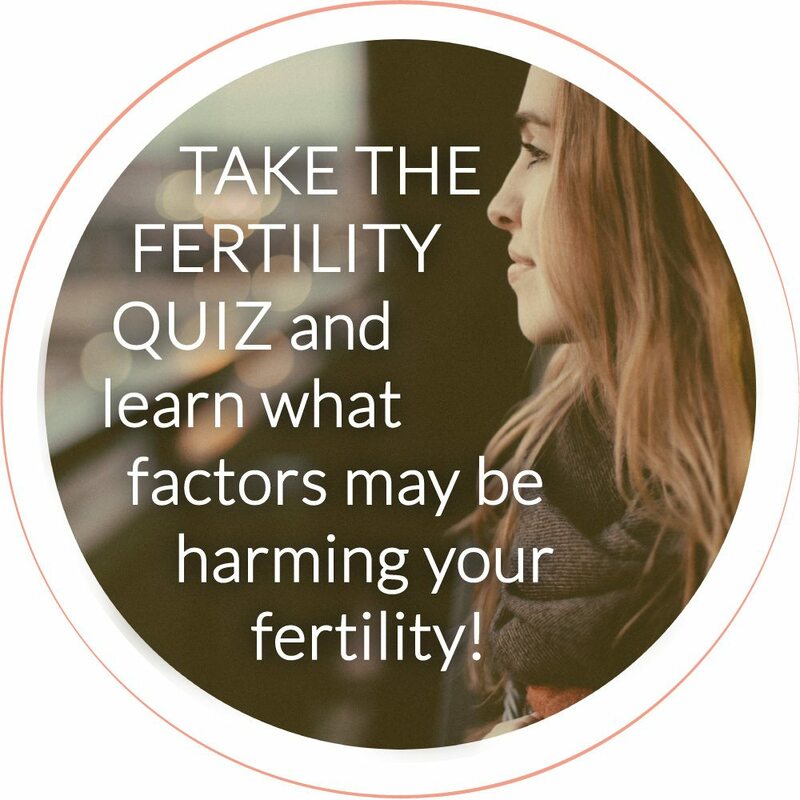 Women with Hashimoto’s have a higher rate of miscarriage in the first trimester and are significantly more likely to struggle with infertility. So why are antibodies are attacking your thyroid, and what the heck are they anyway? Antibodies are special proteins that circulate in our blood. Their job is to eliminate any viruses, bacteria, allergens etc., that enter our bodies and pose a potential threat. Antibodies are what make it possible for your body to fight off a cold, flu, or other virus. Think of them as bouncers outside of the club keeping out the underdressed. But in autoimmune diseases, those antibodies attack parts of our actual body tissue instead of the riff raff they’re supposed to keep out of the club. In autoimmune thyroid disease (or Hashimoto’s) the immune system attacks the thyroid gland specifically. Essentially, the bouncer gets confused and starts kicking the bartenders out of the club (and we need the bartenders!). 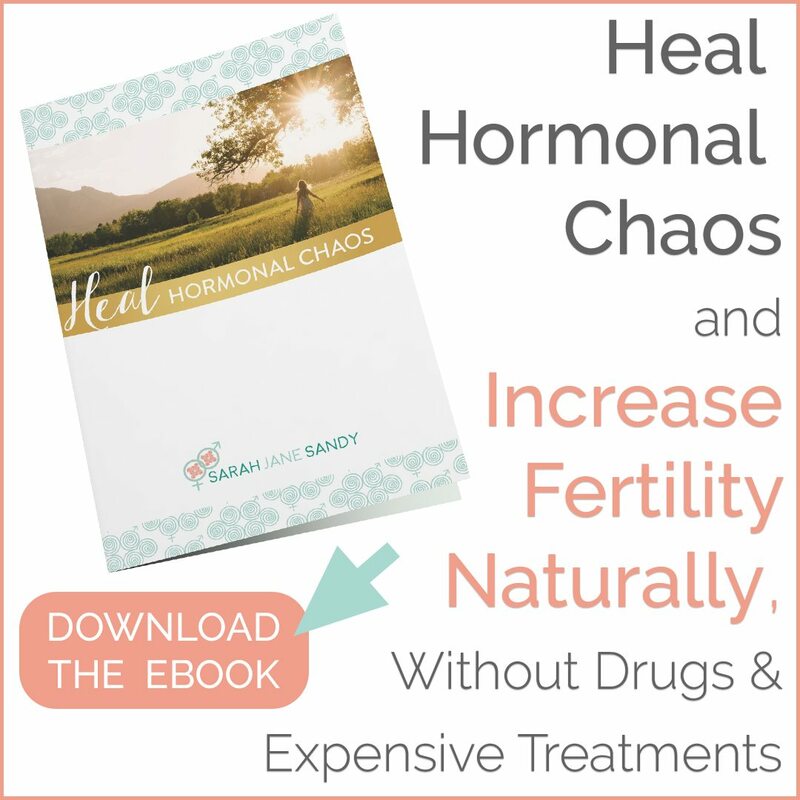 In addition to affecting your fertility, lack of thyroid hormone can cause weight gain, constipation, fatigue, difficulty concentrating, dry skin and hair, depression, sensitivity to cold temperature, water retention, and joint or muscle pain. It basically just makes you feel awful all the time. Hashimoto’s almost exclusively affects women, and is extremely common. After a diagnosis of Hashimoto’s, your doctor will likely prescribe medication to control your thyroid disorder. I am an advocate of utilizing Natural Desiccated Thyroid (NDT) hormone replacement such as WP Thyroid (or if using synthetic thyroid medication I highly recommend Tirosint instead of Synthroid). In addition to medication, there are certain foods, nutrients, and lifestyle changes that can naturally reduce thyroid antibodies and improve your thyroid health. Optimizing your gut health is an extremely important component in decreasing thyroid antibodies. A leaky gut is almost always associated with autoimmune diseases. In fact, reversing symptoms of autoimmune disease depends on healing the lining of the gastrointestinal tract. Leaky gut is what it sounds like — the contents of the small intestine leak through the intestinal wall into the sterile environment of the bloodstream. This triggers inflammation that can contribute to the development of Hashimoto’s AND can exacerbate your autoimmune condition. Sticking to gut-friendly foods can help keep your intestinal microbiome healthy, your gut lining healed and sealed, and therefore your immune system in top shape. Foods that should be eliminated from your diet include: gluten, grains, dairy, corn, soy, industrial vegetable oils, sugars and sweeteners, legumes, nightshade vegetables, alcohol and caffeine, and all processed, refined, and genetically modified foods. All of these are considered inflammatory foods, and lend themselves to gut dysbiosis and a leaky gut—both of which are believed to be involved in autoimmune conditions. Instead, you’ll want to stick to whole, anti-inflammatory, nutrient-dense foods: wild-caught fish and seafood, grass-fed and grass-finished meats, healthy fats and oils, a rainbow of vegetables and fruits, fermented foods, bone broth, and plenty of filtered water. Some fermented vegetables like kimchi, sauerkraut, and naturally fermented pickles, or a fermented beverage like kefir water or kombucha. Thyroid Synergy contains specific vitamins, minerals and other nutrients that have been shown to diminish thyroid antibody levels, while supporting enzymes involved in thyroid function. Omega 3 essential fatty acids decrease inflammation and support a balanced immune system. Vitamins E, C & A are powerful antioxidants, anti-inflammatory, and support your immune system. Vitamin D deficiency is strongly associated hypothyroidism. A recent study found that vitamin D levels were significantly lower in people with hypothyroidism. Recent research has shown that an increasingly large number of certain chemicals, plastics, and other toxins disrupt the endocrine system and immune function. We’re talking processed/packaged food and beverages, soaps, cleansers, cosmetics, paint, exhaust, etc. Switch to stainless steel or glass storage containers for your food and beverages. (including your coffee-maker, tea-kettle, water bottle, etc). Drink lots of filtered water to help flush your system regularly. Buy organic fruits and vegetables from a local organic farm whenever possible. Buy the highest quality animal products you can afford, from a local organic farm if possible (if the animals ate it, you’re eating it too). Switch to soaps, shampoos, and cleansers that don’t contain phthalates, parabens, or sodium lauryl sulfate. Check labels at your local health food store—these are actually pretty easy to find. The EWG is also a great resource for this. Don’t use antibacterial soap (It’s been proven ineffective anyway). Whenever possible, avoid areas where you might be exposed to any chemical fumes, like auto-repair shops, hair and/or nail salons, freshly painted rooms, etc. This should go without saying, but if you are currently a smoker, ABSOLUTELY quit smoking (including vaping, cigars, etc. ), and avoid second-hand smoke as well. There are two major lifestyle factors that affect thyroid health: sleep and stress. With a little planning ahead and a few quick and easy tricks, you can reduce your stress levels and increase the quality of your sleep. Knowing you need to reduce stress can cause stress all on it’s own! The truth is that there’s no way to eliminate stress from your life completely, but there are ways to manage it. The best method is to commit to indulging in healthy activities that relax you and bring your unique soul pleasure. Some of my personal favorite tools are restorative yoga, long slow walks in nature, biofeedback, a hot bath, or a massage, but you will need to find the best techniques that work for you. Try a daily affirmation journal, guided meditation/visualization apps, or a soothing cup of tea at the end of a long day. Commit to doing one thing every day that makes you feel calm and content, even if it’s just for ten or fifteen minutes. This may be one of the most important things you can do to optimize your thyroid health. Sleep in a dark and cool room (68 degrees or less). COMPLETELY black out your room. No LED lights from alarm clocks, fire alarms, TV’s etc. No electronic gadgets of any kind in the bedroom. No screens (including phones, television, e-readers, computers, etc.) for at least one hour before bedtime, Dim the lights around you when the sun goes down. Get at least 8-9 hrs of sleep. You should wake up without an alarm, feeling refreshed. Hashimoto’s thyroiditis is caused by antibodies mistakenly attacking your thyroid. Lifestyle changes, a proper diet, and supplements are all powerful ways to take control of your thyroid health. Have you been diagnosed with Hashimoto’s thyroiditis, or are you at risk of developing it? Have you tried lifestyle or diet changes to reduce thyroid antibodies? If so, what have you tried and what success did you experience? Spread some thyroid lovin’! Sharing is caring, and I bet you have some friends who would love to read this too :). Looking to have a more in-depth conversation about how to decrease thyroid antibodies naturally? Schedule a consultation with me!